This app is so easy for kids to get on and learn. 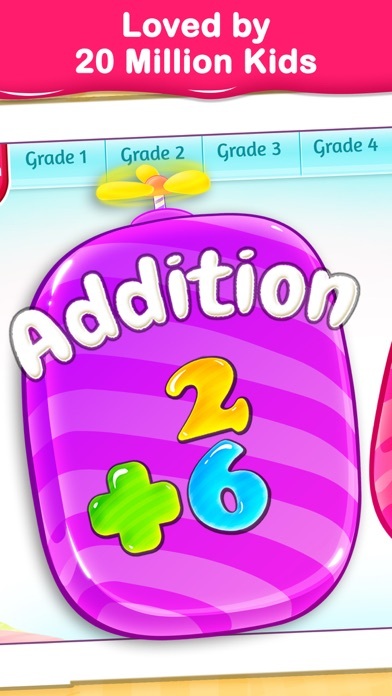 Super fun as well.My daughters math has been improving since using the app. I am in the middle of my one week free trial and cannot get the durn thing to work. It constantly freezes up so u cannot play it. I purchased for a year for $60!!!!! Now I cannot figure out how to cancel. I go to iTunes and it's not there. Please someone tell me how to cancel this before my week is up July 31st. Thanks! I downloaded this app for my 4 year old. She played one round and then it requires a monthly fee to continue. Had I realized this, I never would’ve downloaded it. She’s crushed, but I’m not paying 10$ a month for an app. There’s a 7 day trial, but I’m not doing that. The game was fun for the 45 seconds it lasted, but it shouldn’t be listed as a free app if its not actually free. 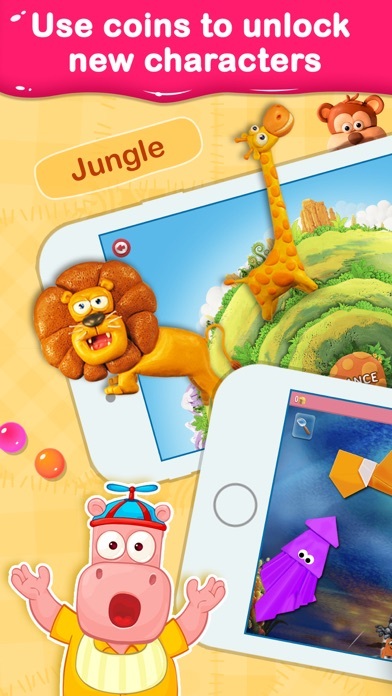 If you scroll down to the bottom of the description it does show membership options, but who actually reads through all of that when downloading a free kids app? I didn’t find that info till she couldn’t play anymore and I went back into the description to find it. First off, it's a good app for kids 4-6. Trying it for one week then will be purchasing for 1-2 months so my child continues to develop and learn with it since she likes it. We're on day 5 now of dAily use. I would give it more stars.....but you can't use the coins earned. The zoo/aquarium continuously freezes up and glitches/bugs out. So it's a useless feature. It DOESNT work at all. Zilch, nada. We sat there for 49mins with it frozen until my iPad closed the app out itself. It's that laggy and glitchy. Just useless. I would keep this app for longer but I'm sure there's NON buggy apps that my child would like better with mini games. But the aquarium looks so cool so I'll continue trying it until I'm done with the app. As for the learning it's decent. The partial answers helps on difficult levels, and you can turn it off anytime. Overall: 4/5 learning 3/5 layout 0/5 for mini games with coins. Don't advertise as free when it is not. It saves us time to download and then delete! no info is given up front to say that on top of buying the app it will not work without enrolling in a monthly or annual Autopay subscription. Such a great learning tool for kids. My pre schooler loves it. Such a great app for learning minds! It is a good soft, first of all. However it is largely just a exercise book, barely no any example and introducing. Parents help is needed. My daughter is six yrs old and she loves loves this app. We homeschool so this works great as a follow up to lessons and worksheet! Her younger has learned a lot by sitting with her listening to her explain what she is doing. Best way to know if a child has learned is to hear them explain it to someone else! Awesome app. Make more of them! Pretty useful educational game for kids. Nice graphics and intuitive to use. 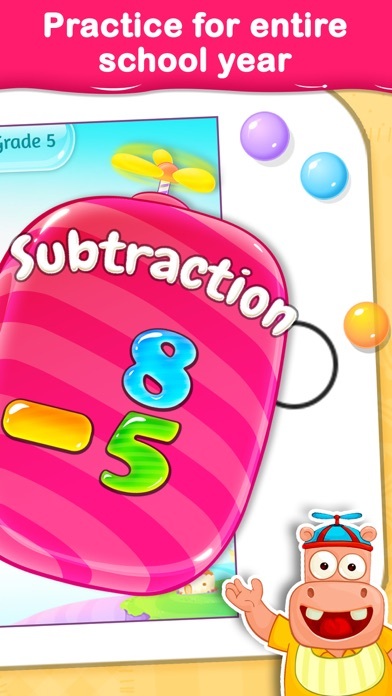 There are a lot of mini games where your kid can learn basic math. Nice learning app for kids! Drills each concept long enough for children to grasp it. 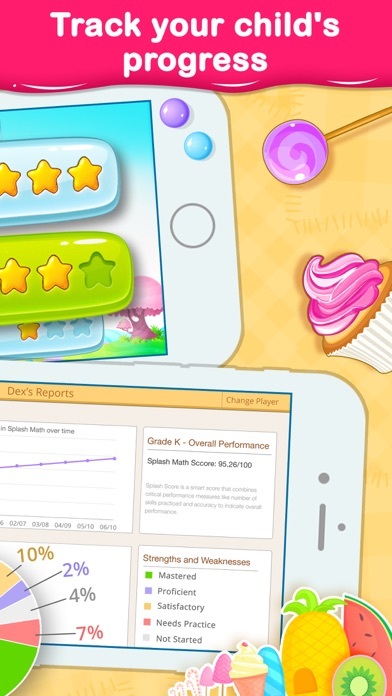 Splash math is by far the best math game out there for kids to practice math skills. Well worth the money, you won't be disappointed! Uses both common core and traditional methods in a kid friendly way. Click bait. Not free until you hand over a credit card. Great learning tool! 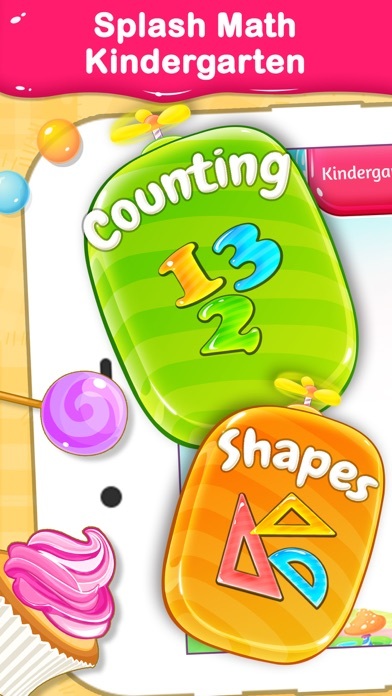 My daughter's math skills are growing leaps and bounds, thanks to this app! I highly recommend! My 4 and 1/2 year old grandson loves this game and the rewards that come with completion of the games. He asks to play it! My granddaughter loves learning new problems. My daughter is doing an awesome job with her math skills due to the drills in this app. Awesome app although I didn't like that they made some questions reading questions for kindergarten. Works great for my 8 year old! 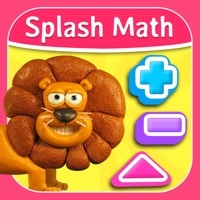 My daughters, ages 4 and 7, both adore Splash Math! As a former elementary educator, I am very particular about screen time on the iPad. This app is very developmentally appropriate for both girls. The immediate feedback keeps them motivated and I love the way they can see their progress. The upgrades are fantastic!! You will not be disappointed by this app! I tried out this app for my daughters and they love it! 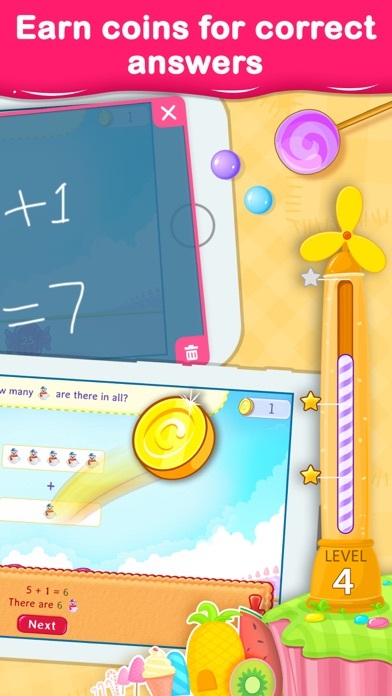 This app does present math in a fun & engaging manner which they love! Nice app to learn maths for kids. Kids will be very much interested to learn with this kind of app. This app has been fantastic for my littles while we home school them. They love practicing math skills and the program introduced them to new skills we may not have touched on yet. The animals and fish as rewards are great, the kids work a little harder for those stars so they can add to their aquarium. Starting out one of my kids was a little behind but has definitely caught up with the help of this app! 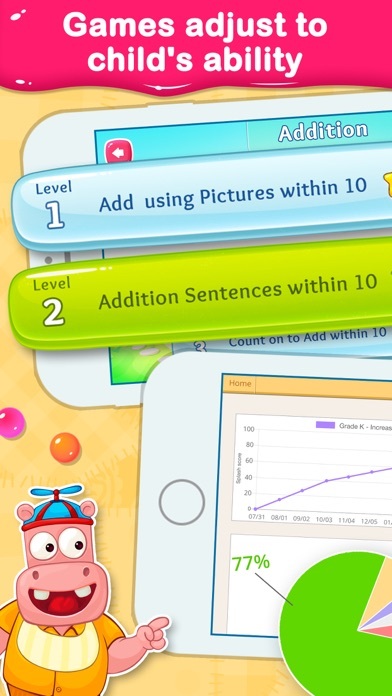 My six-year old and three-year old twins love using Splash Math! I rarely pay for an app, but purchased this one after trying it our for a couple of months, because my kids wanted to solve more than 20 questions a day. They will all be able to use it for years to come. 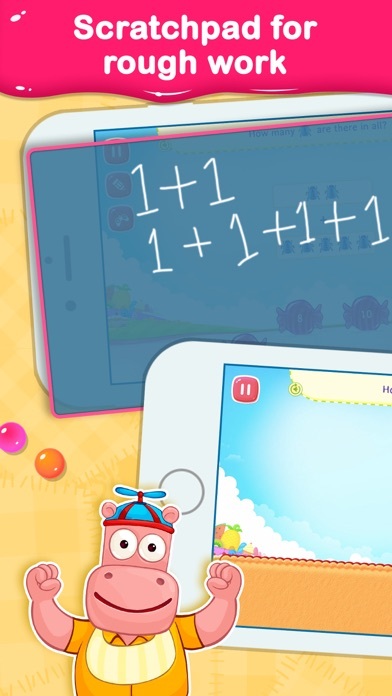 Splash Math has made learning their numbers fun for my twins and reinforces all of the things my son is learning in Kindergarten. I like that this is educational and fun for my son. I also like getting emails tracking his progress! My son has almost completed Kindergarten and is really enjoying the Splash Math program. We have only tried the free introductory version so far and wish he wasn't so limited on the number of questions he can complete in one day, but so far he looks forward to trying new things and it looks like a cute program. Perhaps we will upgrade and buy the full version soon at the next 40% off sale. The graphics are cute and colorful. I loved this for my learning disabled grandaughter. It was great. Gave her plenty of practice and time to learn. Then someone got a great idea to change it and now all it does is freeze every time she wants to play it, what a waste of money. If I pay good money for something you shouldn't have the right to change it. I gave this app two stars because I think it has great potential but the app function is terrible & frustrating. The app freezes often as well. My 3 1/2 year old loves Splash Math. He is able to solve the majority of the problems on his own easily. It keeps him wanting more. He asks to do "my math" daily. Summary: DO NOT BUY. This app has multiple issues: - slow to open. Sometimes it does not open at all. -lacking basic functionality in paid version: no way to add another user or edit user name. If there is, it's probably for money. I paid $10, and I don't think it's worth it. - buggy - issues with fonts and strange characters. Love this app - every grade level. The progression of activities and skill levels works for my students. They work well with lots of practice, which this app gives them. This is a great app and lots of fun. Finley is great with numbers and even though she is still young she is very challenged. She spends a lot of her time with the numbers and basic additions. We also get to spend quality time together. 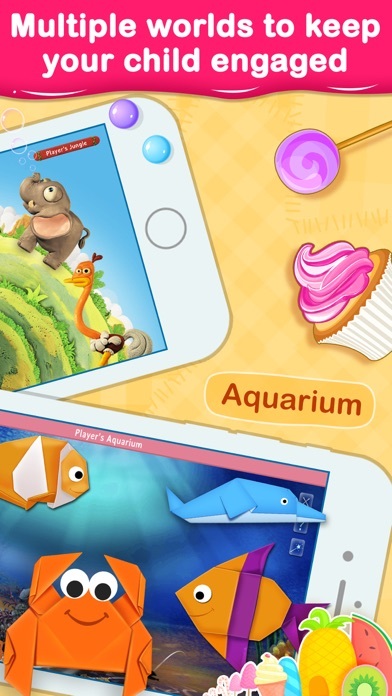 I will also be usingmthe other apps of splash math as she gets older. Thanks for everything. My four year old daughter loves this app. She begs to use our iPad so she can work on her math homework. She says "mom I want the one with the hippo". I am so happy we found the Spash math app so we can begin practicing early to create a love for math.